Well, before I realized my mistake with the cardigan, to give me a motivation to finally finish the cardigan I went shopping. 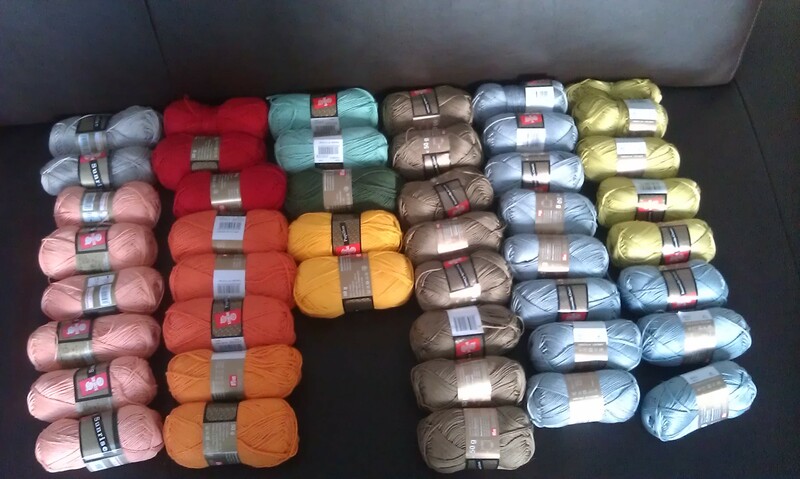 And maybe my shopping went a bit over the top – but hey, the yarn was only 2€ a skin and I got some even with a 20% discount. On the other hand counting the skeins makes me realise that I spend over a 100€ on yarn the last week… So, what do I want to do. First I want to participate in a Knitalong for a Tritschko with the salmon and beige (yes it is actually beige not grey as it seems here) yarn on the left. It is a nice and fluffy yarn, part cotton, part acryl. The colourful yarn in yellowish orange, orange, red, yellow, moss and mint is a very soft and slightly thick cotton and will be turned into a blanket. Yes, I really want to crochet another star stitch blanket with colourful stripes like the ones that Jules at Little Woolies makes. I actually have a lot more yarn in the colours you can see. But they are still at the office because I bought them in my lunch break. 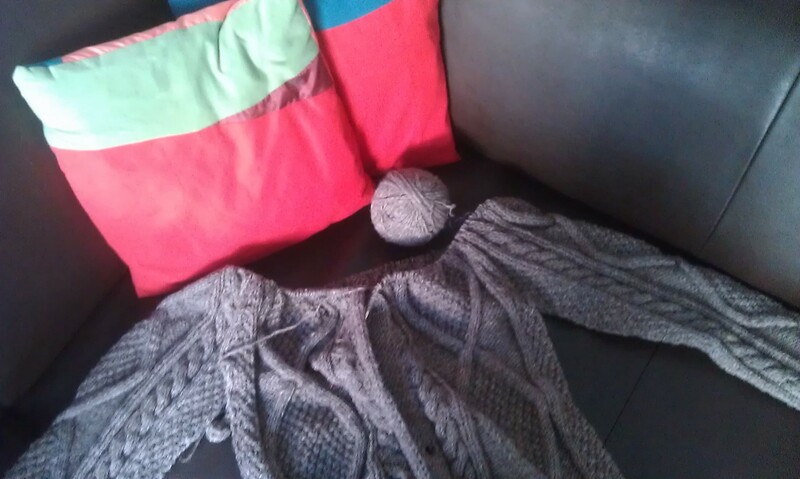 The next yarn is a thinner cotton yarn that will probably be turned into a summer top with a knitted body and crocheted upper part that I saw in a magazin already last year and couldn’t find a fitting yarn for. And the grey (it is actually a nice full grey and not a light blue as it seems to be here) and lime green will be turned into a popsicle dress or at least something alike. I’m not sure if I should buy the pattern if I have to adapt it to my body size anyway. I might just take it is an inspiration. As for reading I hope to finish my books over the long Easter weekend so I can finally start reading something else. I have quite a few books on the shelf that I haven’t read yet and I hope my brother lends me his copy of Winter of the Worlds by Ken Follet when we meet at our parents house for Easter. This entry was posted in Knitting & Crocheting and tagged Blanket, Crochet, Knitting, Yarn Along by kathatravelling. Bookmark the permalink.